We could list all the reasons we love mountain biking—the challenge of a long uphill, those heart-pounding downhill lines, the satisfaction of solving a technical section—but one reason rises above the others: the views. The views, the air, the outdoors. Surrounded by trees, riding a trail through ferns and boulders and briars to emerge on some ridgeline, some riverbank, some lakeshore. That moment is the payoff to a day of pedaling, so we found 10 lakeside trails that are worth every ounce of effort. 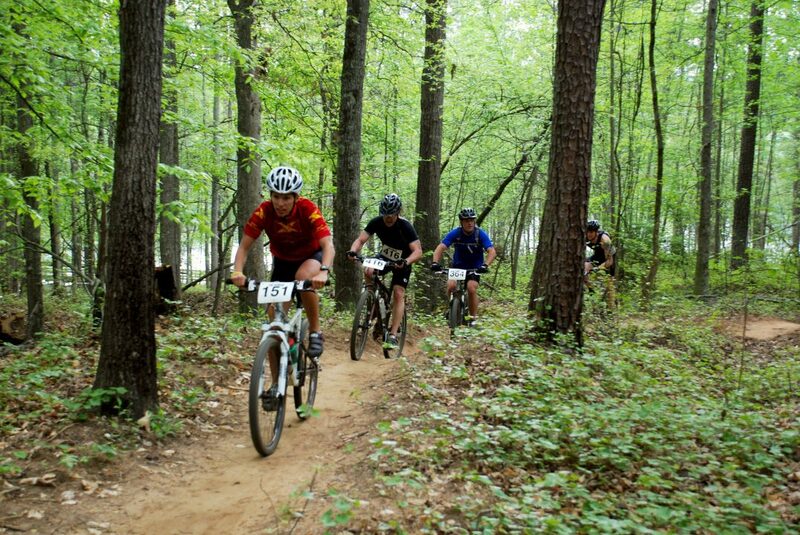 Clemson University’s 17,500-acre experimental forest is laced with more than 100 miles of mountain biking trails and forest roads spread over three distinct areas. Make your way to Issaqueena Forest where 47 miles of trails await. 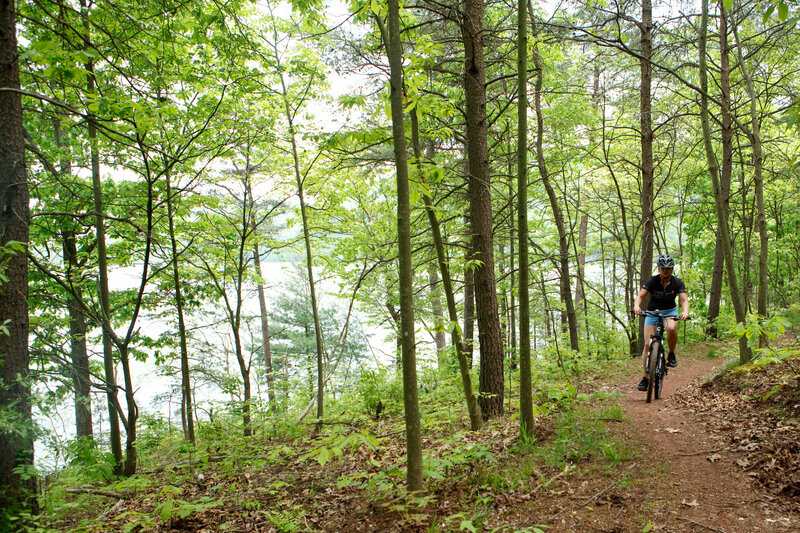 You’ll find waterfalls just of the trail but biking the Issaqueena Lake Trail along the east side of the lake will reward you with some stunning views. Before you go, know this is a teaching forest and trails are built to study recreational design and use, so conditions vary, routes vary, and finding your way can be tough (bring a GPS). Close to 30-miles of singletrack trails cut courses through the valleys, ridges, and ravines that make up Mountwood Park. 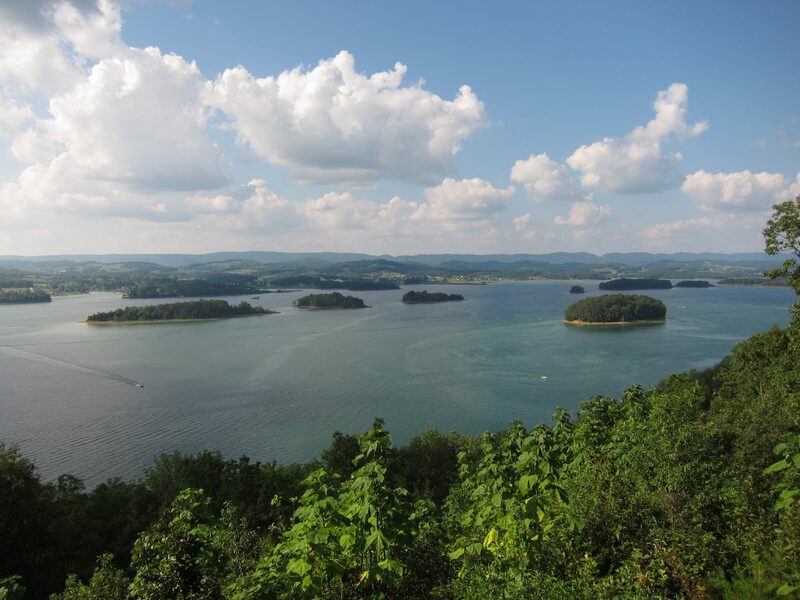 Lake Trail and Rat Snake Trail will have you pedaling alongside the 50-acre lake, while other rides—Trip to The Moon, Warrior Ridge, and Power Line—will challenge you with leg-burning uphills and switchbacks. Mark your calendars for their early-April Challenge at Mountwood but go ahead and start riding, consider it training for next year. It’s no surprise that the Allegrippis Trails—ranked among the top mountain biking trails in the world by SingleTrack.com—appear on this list. The two-dozen trails in the system give riders 30 miles of trail to ride and combine any way they please. Raystowne Deer Trail gets you lakeside, but just about every trail has lake views. One thing that makes these trails excellent is access. Beginners will find the trails doable and challenging if they take them slow, and experts will find the trails ripe for lung-ripping rides. 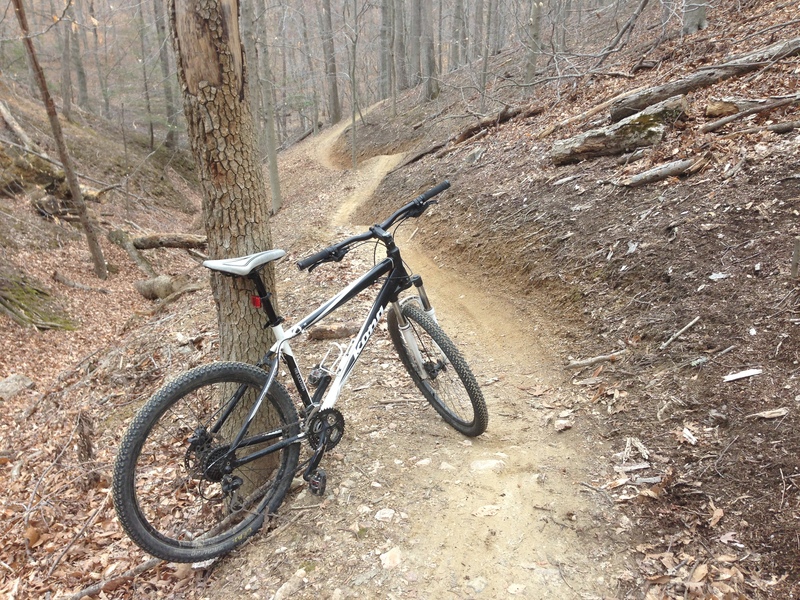 If you’re hitting the trail here and want a little warm up, check out the 2-acre Raystowne Mountain Bike Skills Park and stretch out or brush up on some neglected techniques. What can be better than a swim at the end of a long ride? Pedal the length of either the Yellow or Blue Trail at Fort Yargo State Park and you’ll earn that dip in the lake. Both trails carry you to the water’s edge and bring you uphill for even bigger views. 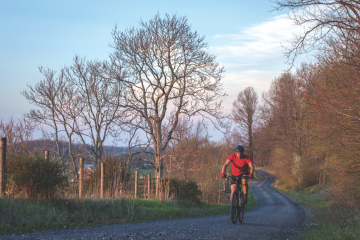 Though each trail is rated as intermediate, Yellow is considerably easier and both the length of Blue (12 miles) and the section known as the “Monster Mile” will push the endurance of advanced riders. 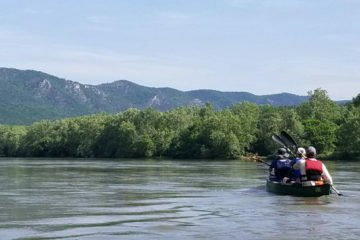 We’d be remiss if we didn’t’ mention Carvin’s Cove, the fantastic recreation area near Roanoke, Va., but since we know we’ll find so many readers on the trail there anyway, we thought we’d look elsewhere in Virginia for a killer lakeside Ride. Enter Fountainhead Regional Park in Fairfax. The trails here are bike-only; are riddled with rock gardens, wooden ramps and banked turns; have clearly marked alternate routes to guide beginners around technical or difficult features; and the loops here can be ridden in any order, giving experienced riders a challenging day in the saddle. 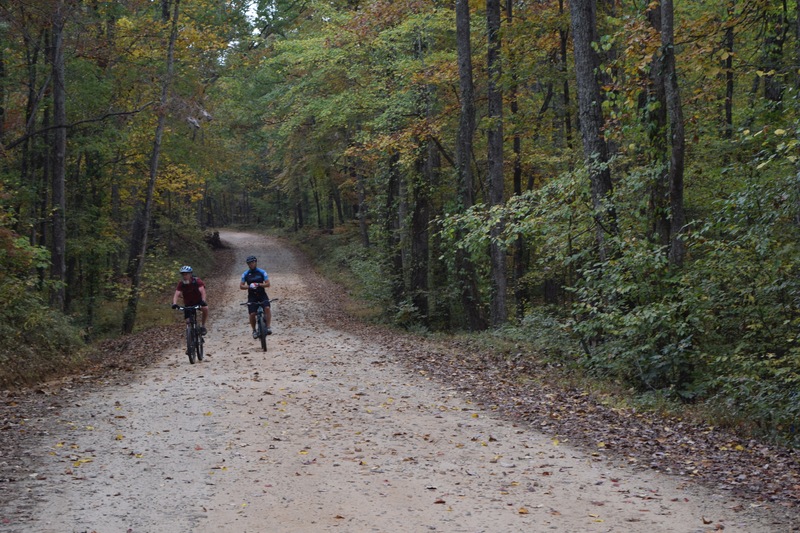 At several points you’ll want to stop for a breather and to take in those views of the Occoquan Reservoir.